Abdul Chest Rizalevsky Jan 15 2019 3:50 am Her birthday is same with my birthday, but i was born on 1994. I adore Ohara so much.... ?? Dan Apr 18 2017 9:52 am I fell inlove with her. Karen Khoo Feb 27 2017 11:40 am I didn't know she's so talented after watching The Liar and His Lover. She has such a beautiful voice <3 Kawaii actress too! Soo Hyun Nov 17 2016 12:19 pm Oh my her performance on "the liar and his lover" was so great... I saw her first on "a girl and three sweethearts" and then saw her again on water polo yankees and then watched the liar and his lover.. I watched the first two because of kento and the third because it was highly recommended.. and just then I realized it was indeed her all along.. her acting is really great.. I hope she gets more projects.. she is really good! jodistrings_pri Jun 13 2016 10:57 am woaah, never thought she debuted in The liar and his lover. 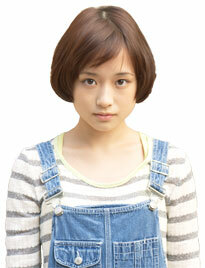 And she was the main female lead alongside Takeru! thaddeus trevin Jul 16 2015 6:37 am i think sakurako ohara is a good and beautiful actress... i didn't realised that there's a good movie in japan for the past few years, i hope that i can see her play in another romantic movie in the future. i like her when she act in The liar and his lover movie. sugoi !! natsuno May 12 2015 4:45 am Grrrr.. She's so young! rixzeiya Mar 17 2015 10:07 am I really like her in Kanojo wa Uso o Aishisugiteru movie . didn't know that she could sing, she has really nice voice . bigfanofsakurako Sep 02 2014 6:16 am she really is amazing !!!! I just wonder how did she managed to be famous in that short amount of time ?? I mean being the lead actress and all ??? Anybody know ?? Did she won an audition or something? ?